NOTE: The daily Pakistan Security Brief (PSB) is being discontinued in its current form and today's PSB, December 31, 2014, will be the last one published. CTP's Pakistan Team would like to extend its gratitude to all those involved in the PSBs' diligent production and curation over the years, and to its readers and supporters everywhere. It has been a pleasure serving you. 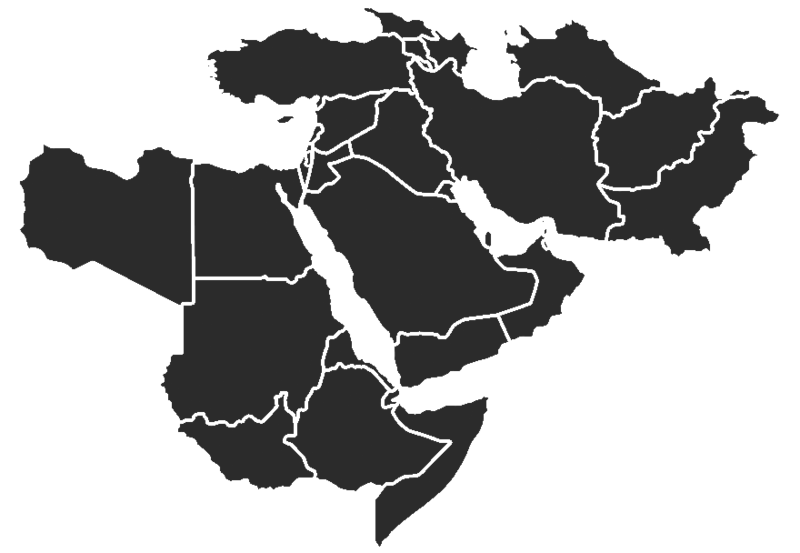 Please continue to regularly visit CriticalThreats.org for updates and analysis of events in the region. If you have any comments or feedback on Pakistan-related products, please contact criticalthreats@aei.org. Indian, Pakistani troops accuse each other of unprovoked firing, three soldiers killed along international boundary; LeT leader challenges two-day physical remand orders; Al Qaeda leader praises “martyrs” in a twitter post; Pakistan military airstrikes kill 23 militants in North Waziristan; Militants kill three kidnapped policemen in Malakand, Khyber-Pakhtunkhwa; Police arrest five TTP militants in Karachi; IED kills one soldier in Mohmand Agency; IED destroys gas pipeline in Balochistan; Three bullet-riddled bodies found in Turbat district, Balochistan; Lahore Bar Association, PTI, PPP to oppose constitutional amendments to establish military court; Interior Minister reviews counter-terrorism measures in NACTA meeting; Government to take action against welfare organizations funding terrorists; Another convicted militant executed in Peshawar; Prime Minister Sharif calls Afghan President, discusses bilateral relations, regional security; National Security Advisor meets Afghan Parliamentary delegation in Islamabad; Talks between PTI, government fail to resolve political crisis. On December 31, Indian and Pakistani troops accused each other of unprovoked cross-border firing across the international border. According to Pakistan Rangers, Indian Border Security Forces (BSF) opened fire on Pakistani troops in the Shakargarh sector of Narowal district, killing two soldiers. Indian BSF accused Pakistan Rangers of unprovoked firing in the Samba district of Jammu region. One BSF soldier was killed in the firing. On December 31, Zakiur Rehman Lakhvi, the alleged mastermind of the 2008 Mumbai terror attacks, challenged his two-day physical remand for involvement in a kidnapping case. Lakhvis’s counsel claimed that a false case had been registered against Lakhvi due to pressure from India and that there was no basis for the case to be lodged. Lakhvi was granted conditional bail by the Islamabad High Court on December 29. Following the granting of his bail, the Indian government had conveyed its “strong concern” over his release. A December 31 report in The News claims that some western diplomats in Islamabad had also expressed their reservations over the apparent failure of the Pakistani authorities to bring the perpetrators of the 2008 Mumbai terror attack to justice. According to the report, Pakistani authorities have reportedly assured the western diplomats that Lakhvi and the other accused will not be given any preferential treatment and that Pakistan is determined to curb the menace of terrorism. On December 29, an al Qaeda leader based in Syria known as Sanafi al Nasr, praised al Qaeda’s “martyrs” in a twitter post after an absence of a month and a half from Twitter. The twitter post eulogized Adnan al Shukrijuma, a senior al Qaeda operative who was killed in Pakistan in early December, and another operative who was also killed in a drone strike, Umar Farooq. There are conflicting reports as to whether Umar Farooq is the same man as another militant named Ustad Ahmed Farooq, the alleged head of al Qaeda’s Dawa and communications arm in Pakistan. On December 31, Pakistan Air Force (PAF) airstrikes killed 23 militants in the Shawal area of North Waziristan. Four militant hideouts were also destroyed in the airstrikes. On December 31, police sources claimed that militants shot dead three out of four policemen who went missing during a search operation the previous night in Malakand district, Khyber-Pakhtunkhwa. Following the kidnapping of the policemen, law enforcement agencies launched an operation against militants in the Elam Mountains between Swat and Buner districts of Khyber-Pakhtunkhwa. On December 30, police personnel conducted a raid and arrested five TTP militants in the Lyari area of Karachi. The police also recovered arms and ammunition from the militants. On December 30, an improvised explosive device (IED) killed one soldier and injured two others in the Qandaro area of Mohmand Agency. Tehrik-e-Taliban Pakistan (TTP) Jamatul Ahrar claimed responsibility for the attack. On December 30, an IED blew up a 24-inch gas pipeline in the Doli area of Dera Bugti district of Balochistan. The blast interrupted the gas supply to some areas in Punjab. On December 30, police personnel found three bullet-riddled bodies in the Mand area of Turbat district, Balochistan. According to a home department report, at least 164 such bullet-riddled bodies have been found in Balochistan within the last 12 months. The report further claims that targeted killings in the province dropped by 30 percent in 2014 with 275 people being killed. The report also states that 250 bombings have been reported across Balochistan which killed at least 49 people and injured 436. On December 31, the Lahore High Court Bar Association (LHCBA) announced its opposition to the idea of establishing military courts, claiming that the decision is unconstitutional. The Bar Association secretary Mian Ahman Chachar also declared that the law body will register a protest against the formation of military courts and that it was prepared to create obstacles in this regard. On December 30, the opposition political parties’ grouping of Pakistan Peoples Party (PPP) and Pakistan Tehreek-e-Insaf (PTI) also opposed a constitutional amendment for the establishment of the special courts. The grouping further suggested that militants should be tried within the existing laws and that the National Action Plan can be executed without amending the constitution. The grouping had earlier endorsed the establishment of the military courts during the all parties’ conference on December 24. Meanwhile on December 31, Prime Minister Nawaz Sharif assured the Senate that the government would not take any “extra-constitutional” actions and that the decision to make constitutional amendments lies solely with the Senate and National Assembly. On December 31, Interior Minister Chaudhry Nisar Khan chaired the first meeting of the National Counter Terrorism Authority (NACTA) at the Prime Minister’s house in Islamabad to review the measures adopted for countering terrorism in the country. Senior representatives from law enforcement and intelligence agencies attended the meeting. Khan said during the meeting that NACTA has been made fully operational and also directed all concerned departments to coordinate with NACTA on intelligence sharing in order to curb terrorist activities. On December 30, Pakistan government authorities decided that strict action will be taken against welfare organizations that are involved in supporting militants in the country. The decision was taken at a high-level meeting chaired by Finance Minister Ishaq Dar and was attended by officials from the State Bank of Pakistan, NACTA and some legal experts. The meeting was aimed at discussing measures to block financial channels used by terrorists. On December 31, Niaz Mohammad, a former Pakistan Air Force (PAF) technician convicted in the 2003 assassination attempt of former President Pervez Musharraf, was executed at the Peshawar Central Prison. On December 31, Prime Minister Nawaz Sharif said that the ongoing military operation Zarb-e-Azb in North Waziristan had dismantled terrorist networks and their infrastructure in Waziristan. Prime Minister Sharif also said that a peaceful and prosperous Afghanistan is in Pakistan’s interest and that both countries are focused on progressing towards regional prosperity by not allowing their territories to be used against each other. Prime Minister Sharif made these remarks at a meeting with a visiting delegation of Afghan Parliamentarians in Islamabad. On December 31, Prime Minister Nawaz Sharif also called Afghan President Ashraf Ghani and discussed bilateral relations, regional security and matters relating to ongoing counter-terrorism operations. On December 30, Advisor to the Prime Minister on National Security and Foreign Affairs Sartaj Aziz reiterated the importance of joint efforts by Pakistan and Afghanistan to address the common challenges of terrorism. Aziz added that bilateral interaction between Pakistani and Afghan security institutions has already intensified and that Pakistan values a peaceful, stable, united and prosperous Afghanistan. Aziz made these remarks at a meeting with the vising Afghan Parliamentary delegation. On December 30, the government and PTI teams held another round of dialogue in an attempt to resolve the political deadlock. The talks reportedly failed because the two sides could not agree on the “scope of work” of the proposed judicial commission to probe the rigging allegations in the 2013 elections. PTI Vice-President Shah Mahmood Qureshi further added that this was the last meeting with the government and that the PTI leadership would start preparing its next plan of action. IS distributes Urdu book through email to Pakistanis; 2008 Mumbai terror attack mastermind detained for two days; LeJ leader detained for two weeks on murder charges; Leader of Lyari gang arrested in Dubai; Security forces arrest five LeJ militants in Karachi; Security forces arrest 14 militants in Quetta; Security forces defuse bombs, foil bid to blow up train in Quetta; High-profile prisoners shifted from Quetta amid jailbreak threat; IED destroys railway track in Balochistan; Security forces arrest TTP militant commander in Khyber Agency; Security forces arrest a militant from Khyber Agency; Security forces kill one militant commander in Khyber-Pakhtunkhwa; Police arrest 115 suspects in Nowshera, Khyber-Pakhtunkhwa; IED kills one in Malakand Agency; Militants set fire to schools in Kurram Agency; Tribal elder escapes assassination attempt in Bajaur Agency; Ahmadi member shot dead in Gujranwala district; Police reluctant to arrest Lal Masjid cleric; Pakistani, Afghan military officials to reactivate joint border control centers; Militant organizations operating under different names to be proscribed; National security advisor claims increased cooperation with Afghanistan on counter-terrorism operations; NADRA to assist in counter-terrorism efforts; Security forces clear out most of Bara sub-district of militants in Khyber Agency; Prime Minister Sharif reviews implementation of National Action Plan for countering terrorism; Pakistani counter-terror experts to study other countries’ models; U.S. Congress notifies $532 million in civilian assistance to Pakistan; Iranian border forces fire mortar shells, seven Pakistanis injured in Balochistan; Pakistan, Iran reach an agreement on IP gas pipeline project; Afghan police officer directs operation in Pakistani territory; Pak-Afghan Parliamentary Security Dialogue begins in Islamabad. According to a December 30 report in The News, Islamic State (IS) has reportedly sent out copies of an Urdu-language book via email to Pakistanis, particularly journalists. The book allegedly illustrates the history, policies and motives behind the formation of IS. Director of the Federal Investigation Agency (FIA) Shahid Hayat Khan, however, claims that he is not aware of any such propaganda material being distributed by IS. On December 30, Zakiur Rehman Lakhvi, the alleged mastermind of the 2008 Mumbai terror attack, was again detained by the police for two days on charges of abducting a man six years ago. The Islamabad High Court suspended his previous detention orders on December 29, drawing a sharp reaction from India. According to a December 27 Dawn report, an Anti-Terrorism Court first granted bail to Lakhvi on December 25 because legal loopholes and weak evidence had complicated the government’s case against him. On December 24, a special court issued orders to detain Lashkar-e-Jhangvi (LeJ) leader Malik Ishaq for two weeks on charges of committing murder. Ishaq was to be released on December 25 after the Punjab provincial government withdrew a request to extend his detention under public order laws. According to a December 25 report in The News, security and intelligence agencies have warned the government that the release of Ishaq could be devastating for the law and order situation in Punjab province because of LeJ’s anti-Shia ideology and collaboration with the TTP. On December 29, Uzair Baloch, a notorious leader of a gang in the long-running Lyari gang war, was arrested by Interpol at the Dubai airport. Baloch will reportedly be extradited to Pakistan within 30 days. In 2012, a court had declared Baloch an offender in an illicit weapons case and had issued an arrest warrant against him. On December 29, security forces conducted a raid and arrested five LeJ militants in the Ittehad town of Karachi. Weapons were also recovered from the militants. On December 29, security forces arrested 14 militants, including a key commander, in the Eastern Bypass area of Quetta. Arms and ammunition was also recovered from the arrested militants. On December 27, security forces defused two bombs planted near a railway track running through the Sariab area of Quetta. The five-kilogram bombs were allegedly planted to blow up the Rawalpindi-bound Jaffar Express. According to a December 27 Dawn report, 24 high-profile prisoners who are on death row have been shifted from District Jail Quetta in anticipation of a possible jailbreak. On December 30, an IED detonated and destroyed a railway track in the Maskhaf area of Bolan district, Balochistan. No casualties were reported. On December 28, security forces arrested a Tehrik-e-Taliban Pakistan (TTP) militant commander in the Shahkas area of Jamrud sub-district in Khyber Agency. On December 26, security forces killed one militant and arrested five others in the Jamrud sub-district of Khyber Agency. On December 28, security forces arrested a militant from the Kamar Khel area of Bara sub-district in Khyber Agency. The militant was reportedly involved in supplying arms to terror groups. On December 28, security forces conducted a search operation, killing one militant commander, in the Janikhel area of Bannu, Khyber-Pakhtunkhwa. On December 26, police arrested 115 suspected persons, including eight Afghans, in a search operation in Nowshera district, Khyber-Pakhtunkhwa. On December 30, militants set fire to two primary schools in Kurram Agency, destroying the buildings. On December 29, a tribal elder narrowly escaped an assassination attempt when an IED detonated near his vehicle in the Salarzai sub-district of Bajaur Agency. On December 27, unidentified gunmen shot dead a member of the Ahmadi religious minority in Gujranwala district, Punjab. The incident occurred five days after a Muslim leader denounced Ahmadis on a television show. According to a December 27 Dawn report, police officers are reportedly reluctant to implement an arrest warrant issued against Lal Masjid cleric Maulana Abdul Aziz on the grounds that his detention may create a law and order situation. The cleric had earlier threatened to launch a countrywide protest if he was arrested. According to a December 29 Express Tribune report, Pakistani and Afghan military officials have decided to reactivate two joint border control centers at Torkham and Spin Boldak to coordinate operations against militants. The decision was reportedly taken at a recent meeting between senior Pakistani and Afghan military officials in Afghanistan’s Nangarhar province. The border control centers were originally set up in 2008 to help NATO, Afghan and Pakistani forces to coordinate counter-terror operations along the Pak-Afghan border. Pakistan had withdrawn its military officers from these centers in 2011. According to a December 29 Express Tribune report, security agencies are drawing up a list of militant organizations that will be proscribed as a part of the new anti-terror strategy. Authorities are also reportedly finalizing a list of those organizations which have resurfaced with new names despite being banned by the government. According to a Pakistan Institute for Peace Studies report, there are 65 proscribed organizations in Pakistan and 23 out of these are functioning with different names. Islamic State (IS) is likely to be proscribed in Pakistan in order to preempt efforts of IS to make inroads in the country. According to a December 29 report in The News, Advisor to the Prime Minister on National Security and Foreign Affairs Sartaj Aziz said in an interview that Pakistan was committed to fighting against all militant outfits in the country without discrimination between the’ good’ and ‘bad’ Taliban. Aziz added that this policy has resulted in improved counter-terrorism cooperation with Afghanistan and that the cooperation will be further strengthened. According to a December 29 report in The News, the National Database and Registration Authority (NADRA) is assisting the counter-terrorism operation by providing identification services for tracing militants and their facilitators in the country. According to a December 27 Dawn report, security forces have formally cleared out most militants from the Bara sub-district of Khyber Agency. Following the withdrawal of the notification declaring Bara sub-district as a conflict zone, the repatriation of around 100,000 displaced families will begin in from January 15, 2015. On December 30, Prime Minister Nawaz Sharif chaired a high-level meeting to review the progress on the implementation of the National Action Plan for countering terrorism. Prime Minister Sharif said during the meeting that special military courts are a part of the National Action Plan and are meant to provide an “extraordinary solution for an extraordinary problem.” Separately on December 30, former Chief Justice Iftikhar Mohammad Chaudhry said that military courts are illegal and unconstitutional and that military courts cannot be established in the presence of an independent judiciary. According to a December 30 Express Tribune report, Pakistani counter-terrorism experts will study different counter-terrorism and de-radicalization models adopted by other countries to combat terrorism in Pakistan. These models are being studied to make them relevant to the present national action plan. According to security officials, successful de-radicalization programs in Malaysia, Saudi Arabia, Singapore, Indonesia, Algeria and the U.K. will be followed while counter-terrorism strategies from Sri Lanka, Algeria, the U.K and Turkey will be preferred. On December 29, the U.S. Ambassador to Pakistan Richard G. Olson declared during a meeting with the federal finance minister that the U.S. Congress has notified a $532 million civilian assistance package for Pakistan under the Kerry-Lugar Act. Olson also discussed the breakup of the assistance for different sectors such as energy, security, economic growth, community building, education and health. On December 29, Iranian border guards fired mortar shells into the Pakistani town of Zamuran in Balochistan’s Turbat district, injuring at least seven Pakistani civilians. The cross-border firing was in retaliation to a December 28 attack by Pakistan-based rebels that killed three Iranian Revolutionary Guards Corps (IRGC) personnel near the city of Saravan in Iran’s Sistan-Balochistan region. The rebels reportedly fled to Pakistan after the attack. According to a December 29 report in The News, Pakistan Petroleum Minister Shahid Khaqan Abbasi has said that Islamabad and Tehran have reached some agreement on the Iran-Pakistan (IP) gas pipeline project. Abbasi added that some officials from Iran’s National Iranian Oil Company will visit Islamabad in the next few days to discuss the implementation of the project and clear all outstanding issues. Iran has reportedly suggested that Pakistan should engage a third party to pay for gas supplies from Iran due to the reluctance of international banks to process transactions involving Iran. According to a December 29 report in The News, Kandahar Police chief General Abdur Raziq has directed Afghan border forces to target the hideouts of anti-Afghanistan militants everywhere, including in Pakistani territory. Both Pakistan and Afghanistan have so far refrained from sending their forces across the border to target anti-state militants. On December 29, a 16-member Afghan Parliamentary delegation arrived in Islamabad for the Pak-Afghan Parliamentary Security Dialogue which will be held over a two-day period. Pakistani and Afghan Parliamentarians began consultations on key security-related issues on December 30. These sessions were first initiated in October 2013. IS graffiti observed in Sindh; Drone strikes kill seven militants in North Waziristan; Drone strike kills three anti-government fighters, including one Pakistani, in Afghanistan’s Nangarhar province; Security forces repulse militant attacks, 16 killed in Orakzai Agency; PAF airstrikes kill 45 militants in Khyber Agency, North Waziristan; Two suicide bombers killed in Zhob district, Balochistan; FC personnel arrest seven militants in Balochistan; Three militant commanders arrested in Khyber-Pakhtunkhwa; Four militants arrested in Quetta; 12 TTP militants arrested in Quetta; Security forces kill facilitator of Peshawar school attack in Khyber Agency; Security forces seize explosives from Mohmand Agency; Security forces arrest 65 militants in Peshawar; Seven TTP militants killed in Karachi; FC personnel repulse militant attack killing eight militants in Dera Bugti district, Balochistan; Militants attack security checkpost killing one in Khyber-Pakhtunkhwa; Arrest warrant issued against Lal Masjid cleric; Security forces arrest three militants in Lahore; 35 people arrested from a temporary hospital in Peshawar; 56 condemned prisoners to be executed; Army chief reviews strategies for implementation of National Action Plan against terrorism; NACTA to be revived with immediate effect; Illegal Afghan refugees to be expelled immediately, says Khyber-Pakhtunkhwa Chief Minister; Government to take action against seminaries involved in militancy; Prime Minister Nawaz Sharif constitutes committee for implementation of National Action Plan; Islamabad High Court orders release of LeT leader; India summons Pakistani envoy to protest. On December 24, Pakistan Air Force (PAF) airstrikes killed six militants and injured ten others in the Tirah Valley of Khyber Agency. The airstrikes targeted the hideouts of Lashkar-e-Islam (LI) and Tehrik-e-Taliban (TTP) militants. On December 26, PAF airstrikes killed 39 militants in the Datta Khel area of North Waziristan. The airstrikes targeted militant hideouts in the Mada Khel, Basikhel and Lataka areas and destroyed six militant hideouts. According to official sources, two key militant commanders were among those killed. The airstrikes also destroyed a large cache of ammunition and an underground tunnel system. On December 26, security forces repulsed two militant attacks on security check posts, killing 16 militants and injuring 20, in Orakzai Agency. Troops arrested two wounded militants while four soldiers were injured in the gun battle. On December 27, security forces conducted a search operation, killing two suicide bombers, in the Gawal Ismailzai area of Zhob district, Balochistan. One suicide bomber detonated his suicide vest while the other one was killed by the security forces. Security forces also recovered 500 bombs, 200 kilograms of explosives, 50 suicide vests, 13 rocket launchers and other weapons during the operation. On December 28, FC personnel arrested four militants, including a key commander, in the Sariab road area of Quetta. Separately, police forces foiled a terror attack by defusing a suicide jacket in the Browery road area of Quetta. On December 25, security forces conducted a raid and arrested twelve TTP militants in the Kuchlak area of Quetta, Balochistan. Those arrested reportedly include two TTP commanders. On December 25, security forces killed one militant and arrested six in Jamrud town of Khyber Agency. The slain militant was reportedly a facilitator for the militants involved in the December 16 Peshawar school attack and was an operational commander of the TTP-Tariq Geedar group. On December 26, security forces seized a huge cache of arms and explosives in a search operation in the Safi sub-district of Mohmand Agency. Twenty-two mortar shells, 66 landmines and 35 kilograms of explosives were reportedly recovered. On December 27, security forces arrested three militant commanders in Shabqadar, Charsadda district, Khyber-Pakhtunkhwa. Security forces also recovered a large amount of arms and ammunition from the militants. According to a December 26 Express Tribune report, security forces arrested 65 suspected militants from different areas of Peshawar within 24 hours. Fifteen of those arrested were allegedly Afghan refugees. In an update to a story reported on December 24, Sindh Rangers killed three TTP militants belonging to the TTP Khan Zaman group in the Surjani area of Karachi. Two police personnel were also injured in the encounter. Separately, Rangers killed four militants in a raid in the Sohrab Goth area of Karachi. On December 27, police forces killed two militants in a shootout in Karachi. On December 26, militants attacked a police check post, killing one policeman and injuring two others, in the Sarki Piyala area in the Hangu district of Khyber-Pakhtunkhwa. On December 26, a court in Islamabad issued a non-bailable arrest warrant against Lal Masjid cleric Maulana Abdul Aziz on the basis of a case filed by civil society members against the cleric. In response to the arrest warrant, Lal Masjid Shuhada Foundation spokesman Hafiz Ehrisham declared that Maulana Aziz would resist any move by the police to arrest him. Civil society activists launched a protest against Maulana Aziz on December 19 in response to a statement by Aziz in which he refused to condemn the Peshawar school attack. On December 25, security forces carried out a raid in the Kot Lakhpat area of Lahore and arrested three militants. The militants were allegedly planning to attack the Kot Lakhpat Central Jail. The security forces also recovered a rocket launcher, a military uniform, bow and arrows, weapons, maps of the central jail and other documents. On December 25, security forces arrested 35 people from a temporary hospital being secretly run in a residential house in the Nothia area of Peshawar. According to police reports, the majority of those arrested were Afghan refugees. According to a December 26 Dawn report, 56 condemned prisoners, including 11 convicted on terrorism charges, are likely to be executed after their mercy petitions were rejected by President Mamnoon Hussain. On December 25, Frontier Corps (FC) personnel arrested seven militants in the Shadikur area of Gwadar in Balochistan and also recovered arms and ammunition from the militants. On December 24, security forces recovered a large cache of arms and ammunition and arrested several militants in the Bagin area of lower Kurram Agency. On December 27, militants opened fire at FC personnel, killing one FC soldier and injuring seven, in the Loti area of Dera Bugti district, Balochistan. FC personnel killed eight militants in retaliatory firing. On December 26, graffiti bearing the name of Islamic State (IS) was observed in Larkana area Sindh province. On December 29, the Islamabad High Court ordered the release of Lashkar-e-Taiba (LeT) leader Zakiur Rehman Lakhvi, the alleged mastermind of the 2008 Mumbai terror attack. In response to Lakhvi’s release, Indian Foreign Secretary Sujatha Singh summoned Pakistan’s High Commissioner to India, Mr. Abdul Basit, and conveyed “strong concern” over Lakhvi’s release. Singh reiterated that the Indian government expected the Government of Pakistan to abide by its commitment of bringing the perpetrators of the 2008 Mumbai attacks to justice. Singh also declared that this release order proved that Pakistan remains a safe-haven for terror-groups. On December 22, U.S. State Department spokesperson Mary Harf had also said that the U.S. was concerned about the release of Lakhvi and that the matter will be raised with Pakistani government privately and publicly. On December 26, Prime Minister Nawaz Sharif constituted a committee for the implementation of the National Action Plan on terrorism and announced that he would supervise the implementation of the plan himself to ensure its effectiveness. Prime Minister Sharif also tasked the Ministry of Finance and the State Bank of Pakistan to supervise anti-terror-financing operations and announced that a federal counter-terrorism force would be deployed with the help of the Ministry of Defence. On December 25, army chief Gen. Raheel Sharif chaired a high-level security meeting to review all the activities to be undertaken by the army and intelligence agencies as a part of the National Action Plan (NAP). On December 24, political parties had approved the 20-point “comprehensive” NAP against terrorism. Under the NAP, the army will establish military courts for speedy prosecution of terrorism suspects, train law-enforcement personnel in counter-terrorism strategies, assist in establishing 10 new wings of the Frontier Corps, intensify the ongoing military operations and aid efforts for political reconciliation in Balochistan. Gen. Raheel Sharif has reportedly directed all concerned to initiate action on an urgent basis for the plan’s speedy and effective implementation. On December 24, Prime Minister Sharif declared that the special military courts will be set up for a period of two years through a constitutional amendment and assured that their jurisdiction will be strictly limited to terrorism cases. On December 27, Prime Minister Nawaz Sharif decided to revive the National Counter Terrorism Authority Pakistan (NACTA) with immediate effect at a high-level meeting. Following the directive, an administrative meeting of NACTA has been scheduled for December 31 and will be chaired by Interior Minister Chaudhry Nisar Ali Khan. The first draft of constitutional and legal amendments required for the trial of militants in military courts was presented at the meeting. Prime Minister Sharif also assured that troops fighting militants will be given legal protection for their actions. An umbrella committee with 15 sub-committees was also formed at the meeting in order to implement the NAP. According to a December 25 Dawn report, the Punjab government may take action against some religious schools found to be involved in militancy in any way. According to Punjab Home Minister (Retd.) Col. Shuja Khanzada, the government has completed the mapping of registered and unregistered religious schools in the province and may initiate action against ten percent of them. According to a December 25 Dawn report, Khyber-Pakhtunkhwa Chief Minister Pervez Khattak declared that the government will take steps to immediately expel all illegal Afghan refugees. Khattak added that a modus operandi will be devised for the honorable repatriation of all legal Afghan refugees in Pakistan as soon as possible.